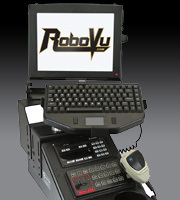 RoboVu supports police, fire and EMS agencies and personnel across the country. We provide rugged hardware, software, mobile video and fixed video, data and communications solutions that meet the demanding conditions experienced by first responders. Our solutions were developed for the military markets and deployed for specific use in public safety.